The melatonin hormone is the hormone responsible for the regulation of the normal sleep and wake pattern of a person. Melatonin is produced in the brain, specifically the pineal gland and is normally released during nighttime, when it is time to sleep. If there is an abnormality or an alteration to the production and release of the melatonin hormone, it can possibly lead to the development of a circadian rhythm sleep disorder, such as delayed sleep phase syndrome, jet lag, etc. Aside from those mentioned, an alteration to the production and release of the melatonin hormone can also lead to insomnia. Synthetic forms of melatonin are made into melatonin supplements especially for people suffering from various sleep disorders. The melatonin hormone is considered to be safe, but further studies are needed to be done to determine the effectiveness and safeness when taken in its synthetic form through melatonin supplements. 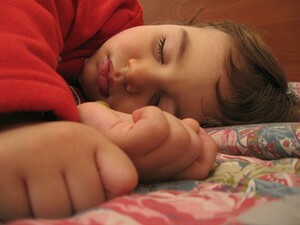 Melatonin supplements are not proven to be effective when used by children. While in fact, children are not usually prescribed to take synthetic melatonin or melatonin supplements, because, melatonin supplements when given to children can cause various side effects that can possibly be harmful to their overall health. Melatonin Supplements and Autistic Children. In studies and researches conducted during the late 2000’s, it has been found that more than 60% of children who are suffering from autism have low levels of melatonin hormone. Aside from the children suffering from autism, their parents have also been proven to have low levels of melatonin hormone. Many doctors and scientists believe that the low levels of melatonin hormones could have possibly contributed to the development of autism in children, since low levels of melatonin can possibly affect a child’s brain development. There are some researchers and doctors who recommend to let children with autism take melatonin supplements to improve their sleep quality. And when melatonin supplements are given to children suffering from autism under the age of 3 years old, they believe that it can help in decreasing the severity of the disorder. In studies conducted about side effects and/or adverse effects of melatonin supplements given to children with autism, there were no reports of any side effects and/or adverse effects to most children. There were only a very few children who were reported to experience negative effects from taking melatonin supplements, such as morning drowsiness and bed wetting.